As Rocket Lab prepares for its first fully-commercial rocket launch from Mahia, the aerospace company has taken another step closer to being ready to put a series of small satellites into orbit for NASA. 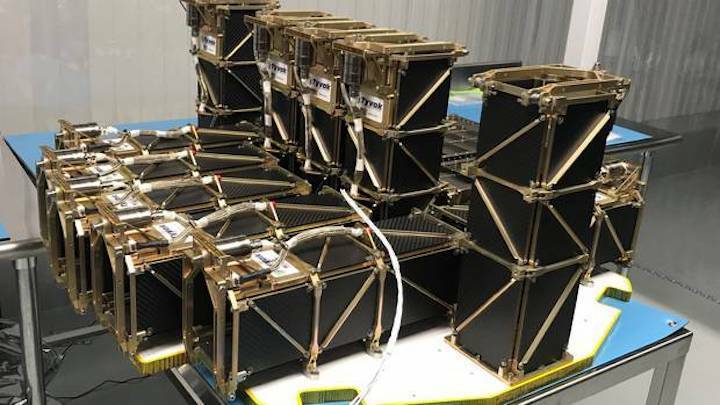 Rocket Lab says it has performed a successful fit check of the CubeSat dispensers for the NASA Venture Class Launch of its Educational Launch of Nanosatellites (ELaNa) XIX mission, which will put a total 12 mini CubeSats into orbit. A Rocket lab spokeswoman said those would include the Shields-1 payload from NASA's Langley Research Center, which would focus on studying the harmful effects of harsh radiation environments to spacecraft. "The NASA Langley Research Center Shields CubeSat initiative was created to enable lower cost access to space for materials durability experiments, and to foster a pathway for both emerging and commercial-off-the-shelf radiation shielding technologies to gain spaceflight heritage in a relevant environment." The launch would also include an RSat payload from the US Naval Academy. "This is a low cost 3U CubeSat built to demonstrate capabilities for in-orbit repair systems. "RSat is part of a technology demonstration mission to provide an in-orbit mobile platform to survey and possibly repair a much larger, conventional spacecraft." Speaking to Hawke's Bay Today the United States Naval Academy's Aerospace Engineering Department assistant professor Jin S. Kang said he was "very exited" about the upcoming launch. "I am very excited about the upcoming launch because of three things that make this launch extra special. First of all, RSat will demonstrate functionality of two fully functional robotic arms in space, in a tiny 3U CubeSat form factor. "Secondly, this launch is a huge step towards allowing small satellites to be put into space as primary customers, instead of "piggy back" ride opportunities of the past. "And finally, New Zealand launches offer near-polar orbit insertions which is a rare chance for USNA satellites, and will provide an extra dimension to future student satellite missions. " The fit check for the mission, which is yet to have a launch date confirmed, was carried out at Rocket Lab's Huntington Beach payload integration cleanroom. Fit checks provide valuable risk reduction in payload integration by verifying physical interfaces and allowing for a dry run of installation procedures prior to the launch campaign. A statement from Rocket Lab said the Huntington Beach Payload Integration Cleanroom located in our Rocket Lab US Headquarters and is used for payloads that are processed in the United States before being shipped to their final launch site, such as Launch Complex 1 in Mahia. A date for the launch has yet to be set.